Simple Synth with Cv and Gate inputs. 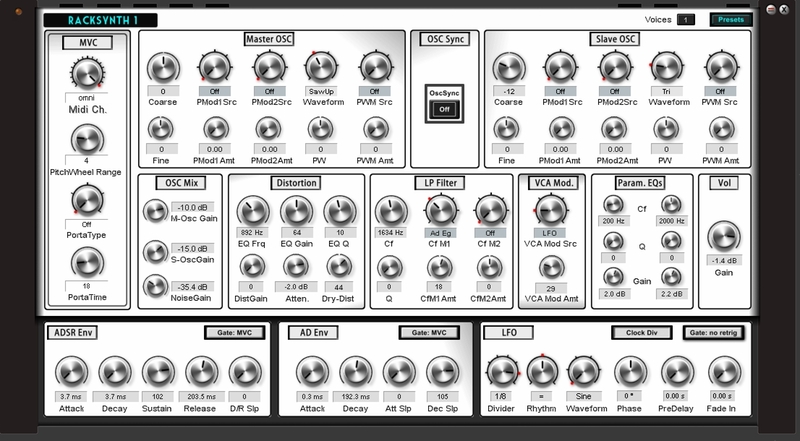 If wanted, Osc pitch, Filter cf, and Vca can be controlled from external devices like ControlSeqNotes or ControlSeqUni/Bipolar, or a Modular device. Adsr and Ad envelopes can be triggered by the internal MVC or an external Gate Sequencer like GateSeq1 or a Modular device.